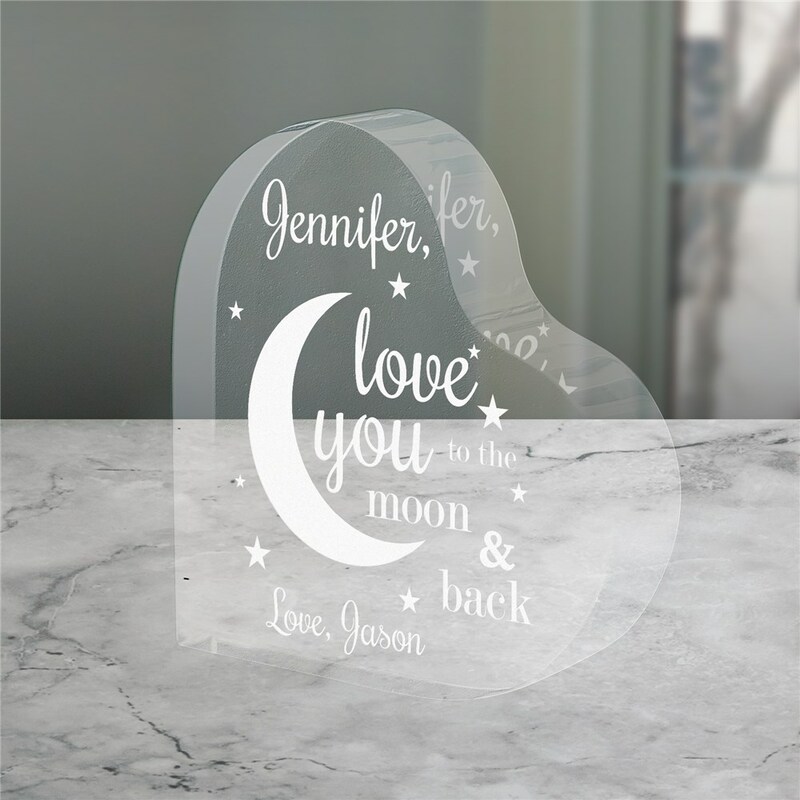 Give your Valentine something unique that shows your love for them with an Engraved To The Moon and Back Acrylic Keepsake to display. We will custom create engraved glass gifts for Valentines like this heart shaped keepsake with any name and any custom message line to make a gift she will love and love you for giving to her. 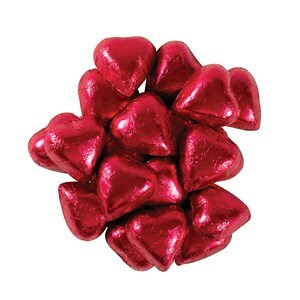 Our heart keepsake is a great Valentine's Day gift! We will skillfully reverse-laser engrave on this high-quality, clear acrylic heart keepsake. Our heart keepsake is available in small or large. The small heart measures 3 3/4" H x 4 1/8" Wide - 3/4" thick. 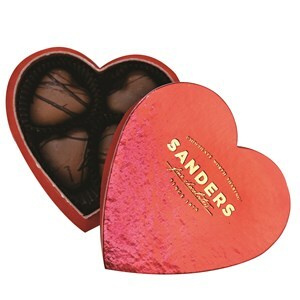 The large heart measures 4 3/4" H x 4 3/4" W - 3/4" thick. Not able see product as we're Valentine gifts for our dtr. & son. They liked them though. Thx! Came earlier to home do plenty of time for Valentine's. This is a great item. Very high quality the only thing I would like is if it was a little bigger. Maybe offer a larger one as an option. It was perfect and my wife was overjoyed. Perfect gift that will last a lifetime. 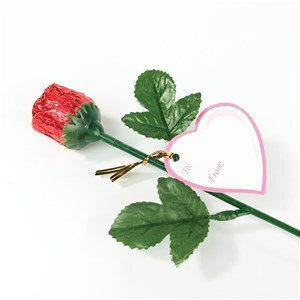 Additional Details For more great Valentine's Day gift ideas for women, be sure to take a look at all of our Valentine's gifts for her.